Doctor Mahmoud Sadeghi is an MP from Tehran . 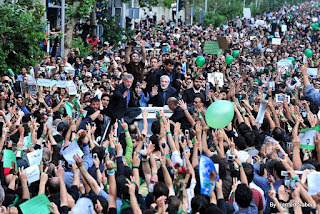 In recent days because of his critical stands about a number of issues particularly on the release of Ayatollah Montazeri's voice tape on the mass killing of political prisoners in 1987 and the issue regarding the corruption about the bank account of the judiciary power (Mohammad Sadegh Larijani is the head of the Islamic regime judiciary ), because of his question and demand that judiciary power must answer to the report , he is been summoned by Tehran prosecutor. This issue brought anger among Iranian people , that a prosecutor can summon and arrest an MP who spoke in the parliament about the issue. The first time , prosecutor ordered his arrest , but people and students gathered in front of his home at night and prevented this to happening , but now he is been summoned to go to prosecutors office. He is charged with creating disturbance among public and according to prosecutor there are eight plaintiff against him.
" you are not in a position to question an MP . It is the job of the parliamentary board which supervise the behaviour of the MP's . He also added that, why the prosecutor didn't bring all this complaint against the MP before he spoke about the disclosure of judiciary power's bank account or....."
We Did Not Forget That The Leaders Of The Green Movements, After More Than 2000 Days, Are Still Under house Arrest........Does Anyone Care !!!???? 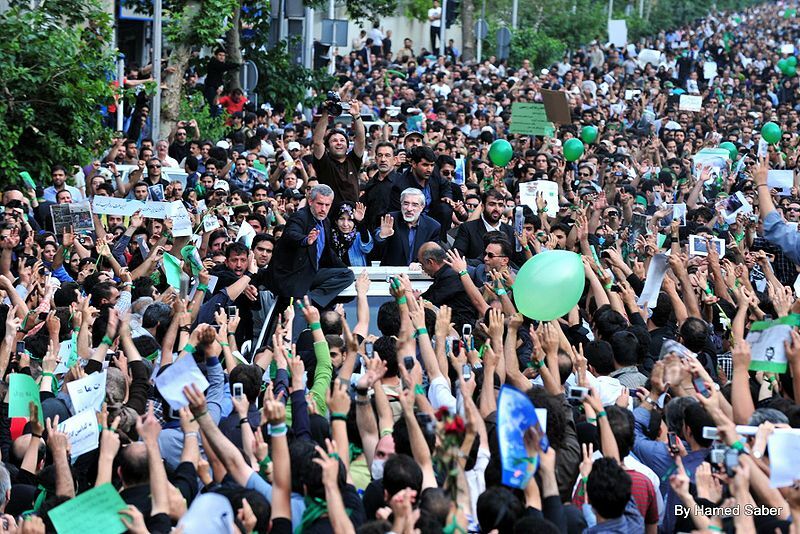 Did You forget Green Movement in Iran? 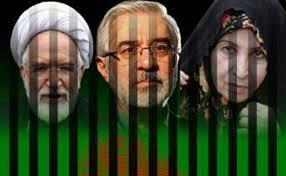 Did you forget this three leaders Of The Green Movement : Mir Hossein Musavi, Zahra Rahnavard and Mehdi Karoubi?
" if you look, on all these disclosure , you can find the foot print of the leader , and attack on the leader is getting more and more , and added to this is the daily protest by people from all walks of life in the society." 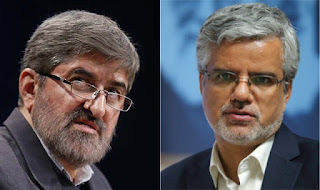 So the independent media must become active into this events and inform the people and keep it alive so that the Larijani brothers can't foray until everything become known in a court of justice. 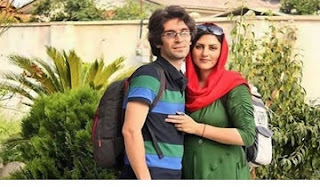 Letter From Golrokh Ebrahimi Iraei to Arash sadeghi And International Human Rights organizations. I request from all the human rights organizations to react on my husband who is dying quietly in prison and to prevent from not returning ( dying in prison). Arash Sadeghi is the political prisoner of the ward 8 of Evin prison and last night he was transferred to prison clinic because of irregular heart beating and breating short coming. Arash is on his 35th days of hunger strike and he has stomach bleeding and his health condition deteriorating rapidly and his blood pressure dropped to a warning low level. 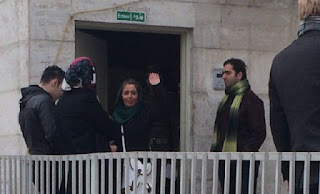 Golrokh Ebrahimi herself is in Evin prison ( At Women Ward ) . Parastoo Frohar the daughter of Dariush and Parvaneh Frohar who were murdered 18 years ago at their home by agents of the ministry of Information , speaking to International Campaign for Human Rights said: The security agents have prevented the annual commemoration event again. She had announced earlier that she would hold the event at her parents house and she provided the address but from 10 am seven to eight security agents closed the alley and prevented the people from entering the house . Not only her request for permit to hold the event is denied to her and the family and friend and members of Melat Party were unable to hold a vigil but also she was summoned to the prosecutors office for some explanation on why she is interested to continue holding the commemoration event. 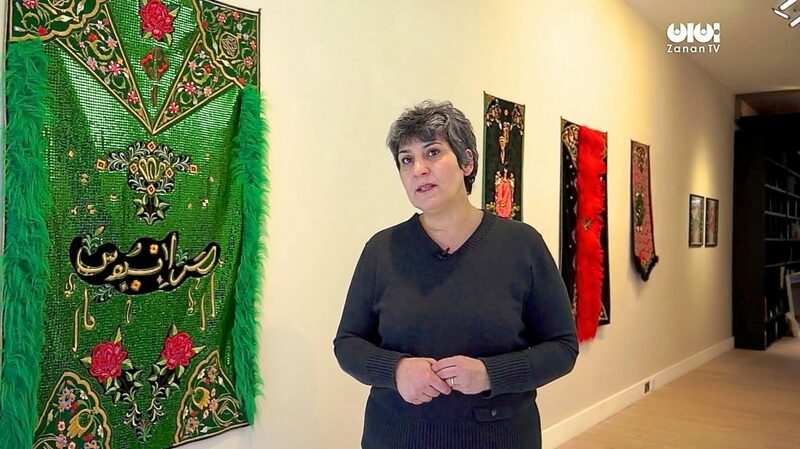 Parastoo Frohar an artist who live outside Iran , every year returns to Iran to hold the commemoration event but its been denied . Not only the security forces threaten or intimidate / harasses her not to bring people together at the house where her parents were horrendously murdered by the agents of the ministry of information but after 18 years still the Islamic regime afraid this single event will cause head ache for the regime. 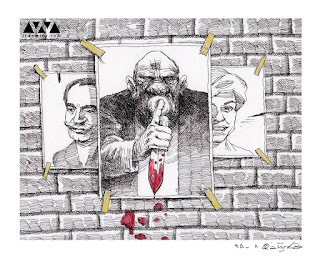 That murdering happened during the Government of Mohammad Khatami 18 years ago and the agents were arrested and investigated and accepted committing the crime . The video of the confession by Said Emami the security agent of the time and his wife is available in youtube . Said Emami the agent later committed suicide . All Parastoo Frohar is seeking is the justice for the family by continuing to commemorate the event each year. 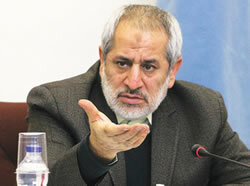 Ali Motahari Deputy To Majlis Speaker ( Parliament) : Free Mashhad ( Khorasan ) Province From The Despotism !!!??? According to news Ali Motahari in a letter to president Rohani wrote: Please clear this for us, that who is in charge of the Khorasan province , is it the Governor or the prosecutor and friday prayer Imam ?? !! Who is in charge?! Does the Police acts under the direct order of prosecutor or the governor??!! And why the prosecutor enters into this kind of issues??!! These are the points in the letter . He wrote the letter because he was invited to speak to a group of young students in Mashhad city , which was cancelled due to opposition to his speech by some authorities in that province. This is not the first time it happened , in the past in Shiraz on the same type of invitation , hje was attacked and beaten by local thugs . Recently in Khouzestan province also same things happened . Time and time again the name of Mahmoud Reza Khavari the past head of Iran National Bank who was part of 3000 billion Tuman corruption charges appears on the front page of Iran's newspapers and regime demands for his return . 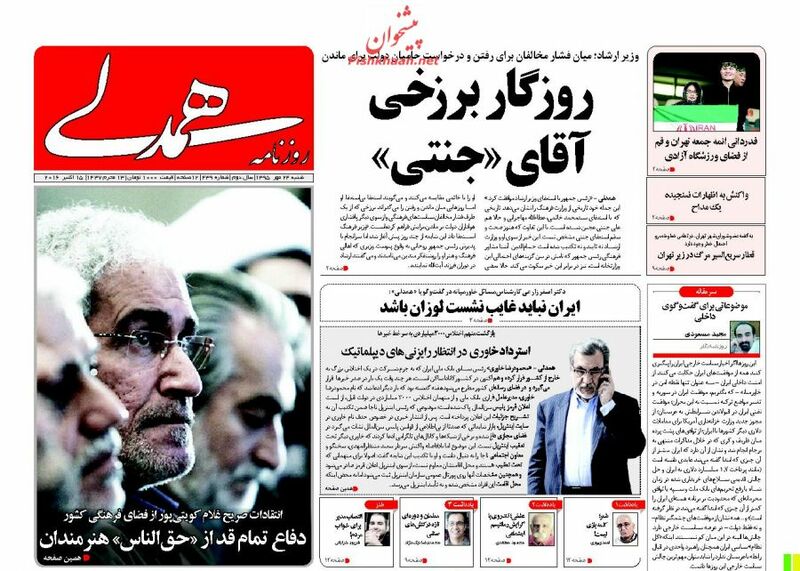 In this newspaper , regime wants him back through either diplomatic or interpol channels . It has also been reported here that, the interpol ( international police ) has removed his name from the list which the regime's interpol believe that is not true . 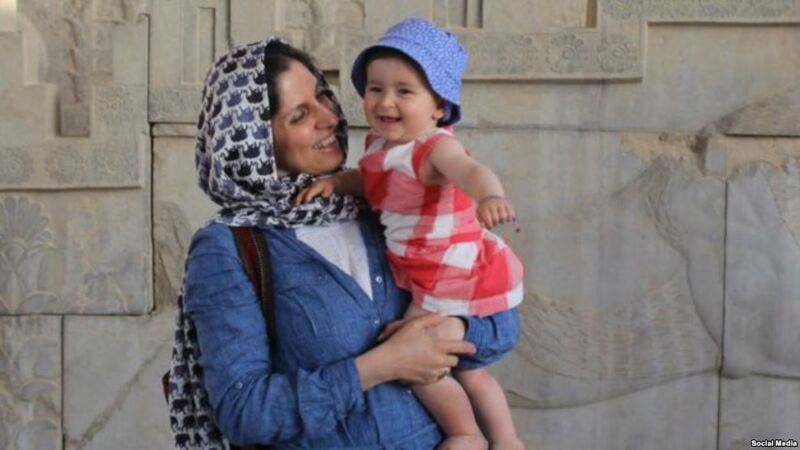 According to news by HRANA, Mrs. Sholeh Pakravan the mother of Ms. Reyhaneh Jabbari is summoned by the ministry of Information and she appeared on Nov. 14 at 10:00 am in the ministry office . She is been called and summoned by the ministry agents because of her recent activities beside her daughter's grave and speaking to an audience attended on annual / anniversary commemoration. The audience and her family members during the ceremony were threatened and harassed. 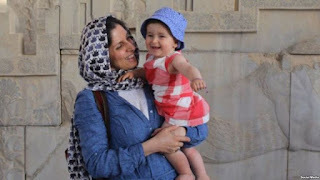 Amnesty International has reported that, the condition of the health of imprisoned Iranian -British citizen Nazanin Zaghari Ratclif is alarming in a way she may commit suicide against the decision of the judiciary sentencing her to five years imprisonment. The judiciary of the Islamic regime has sentenced Mrs. Zaghari Ratclif to five years imprisonment for allegedly breaching the national security. See more news in either amnesty International or in the previous post of Iran Watch Canada. According to news , Mr. Shahin Negari an online professor of Bahais is freed after spending 4 years in prison. 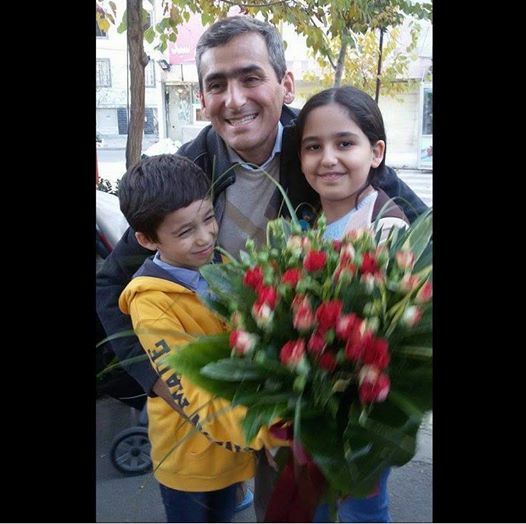 In this picture , his kids welcome him upon his return to home. Iran Watch Canada : Why he have to spent four long years in prison , why ? If this is not apartheid , then what it is ? You can see the joy on all three faces. Excerpts from Reyhaneh's letter to president Rohani.
" President Rohani , we don't need niether financial help ( Yaraneh) nor insurance from you. When the longest life span of our newspaper is less than a year, what can financial help do for us ? When the nightmare of arrest and solitary confinement is over our head , what is the use of having insurance? We need safety and security , a kind of safety and security which no judiciary official or security official can close our newspaper or arrest us and ban us from working . " "Mr. President : You have promised us to break the security atmosphere and we are waiting you fulfill your promises." she was also arrested four times previously. 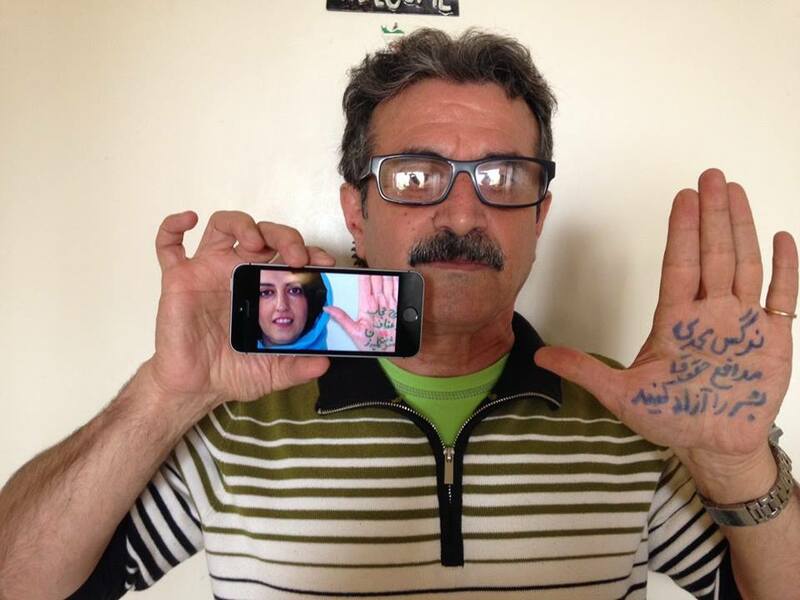 This harrowing photo belongs to a young girl in Iran. She was arrested at a mixed-gender party [for being in the company of men that she was not related to] and was arrested. As a punishment, she was sentenced to being lashed. You can see the effects of these lashes on her back. 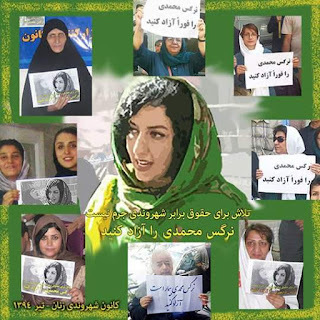 According to news coming from Iran , last week many Iranian human rights activist have gathered at Mr. Keyvan Sammie's home and protested the heavy imprisonment sentencing against Narges Mohammadi the well known vice president of the Iran Human Rights Organization. Tehran Prosecutor Abbas Jafari Dolatabadi announced that ; an underground singer is sentenced to 10 years imprisonment and 74 lashes , he did not announce the name of the singer and also did not mention on what charges this singer is sentenced to 10 years imprisonment and lashes.
" Mr. president , you are the president and you talk always good in Television .....I am the artist of this country and i am in prison for a month now ....."
NARGES MOHAMMADI IS AN IRANIAN HUMAN RIGHTS ACTIVIST who has been in and out of jail for trying to ban the death penalty, for meeting with a UN official without permission and for speaking out against the regime’s brutal efforts to silence any criticism or opposition against it. SHE IS NOW IN JAIL AND IS TO REMAIN THERE FOR THE NEXT TEN YEARS. Her trials were, as can be expected, anything but fair since she was repeatedly denied access to her lawyers and was not even shown the “evidence”. AS IN OTHER POLITICAL TRIALS, SHE HAD TO ACCEPT THAT ACCORDING TO THE REGIME, SHE WAS GUILTY UNTIL PROVEN INNOCENT. On top of all this, her suffering from being kept apart from her family is compounded by her failing health. ALL OF THIS WOULD BE ENOUGH TO BREAK ANYONE BUT NARGES’ BRAVE SPIRIT IS DEFINITELY NOT BROKEN. 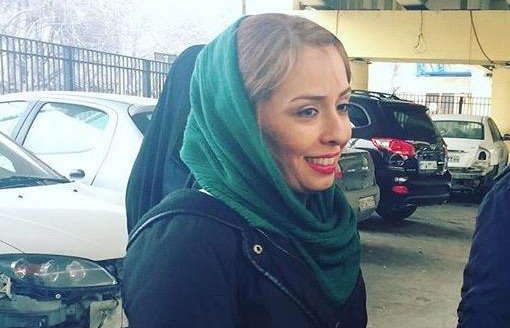 But now, Narges’ fate is taking on a much bigger dimension in Tehran: THE REGIME IS OUTRAGED AT THE SUPPORT SHE HAS RECEIVED TO TRY TO DIMINISH HER SENTENCE. The regime is obviously angered by the global support she has received but it is the local support which is really creating pressure within the regime. 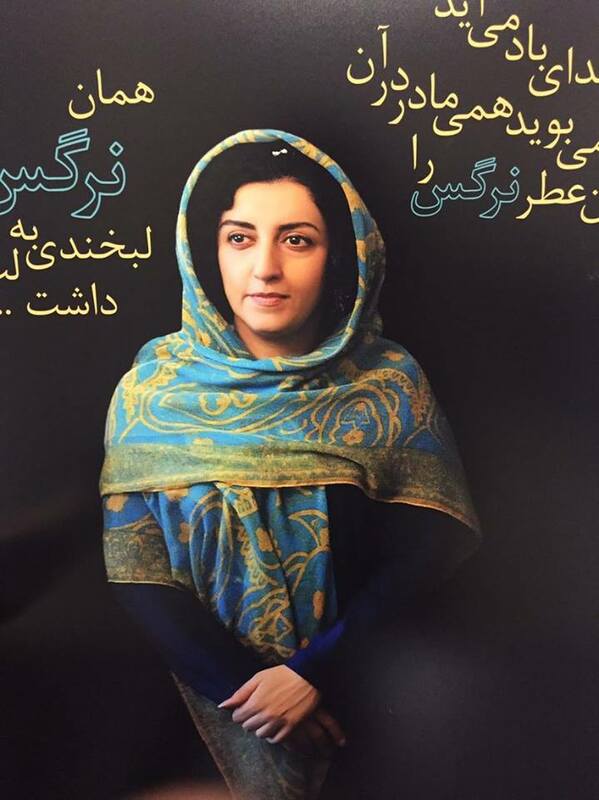 TWO WEEKS AGO, 15 IRANIAN MP’S ADDED THEIR VOICE TO THE CALL TO FREE NARGES OR AT LEAST TO DIMINISH HER SENTENCE. The authorities immediately refused but the fact that such a call could emanate from within the regime made it hard to simply leave the matters as they stood. Last week, the prosecutor general, Mohammad Jafar Montazeri made the issue clear: NARGES IS A CONVICTED CRIMINAL AND AN “OUTCAST” AND ANY IRANIAN SUPPORTING HER IS WORKING AGAINST THE REGIME, TOGETHER WITH THE “ENEMY” (THE US), IN ORDER TO “WEAKEN THE IDENTITY AND BESMEAR THE ISLAMIC STATE”. This “plot” to overthrow the regime can be found in what Montazeri called a “TRIANGLE”, which included the JCPoA, HUMAN RIGHTS ACTIVISTS abroad together with “their agents inside the country” and “OFFICIALS WHO UNKNOWINGLY DO THINGS BASED ON IGNORANCE”. 1) The JCPoA was approved by the government and Khamenei himself as a deal which would end the crippling sanctions. Many Iranian leaders continue to claim that Tehran was a clear winner in this deal so how did such a deal suddenly become part of the plot to undermine the regime? And are Rouhani and Zarif , the orchastrators of this deal also part of this "plot"? 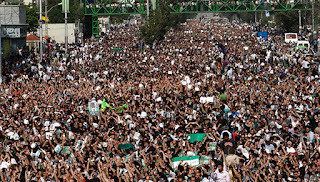 2) As to human rights activists, in Iran or abroad, Tehran’s common answer is that a) there isn’t a problem of human rights in Iran, b) any criticism regarding human rights in Iran is based on political agendas and c) no one has the right to change human rights in Iran except for the regime (but since there isn’t a problem, so everything is OK). But who are these “agents” of the global activists? 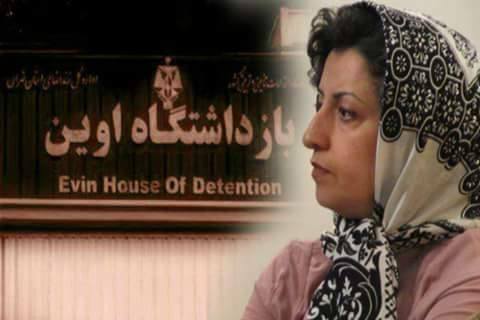 They are either hiding or in jail like Narges. 3) As to the “ignorance” of the “officials”, Montazeri adds: “Just because the Judiciary isn’t revealing the evidence against these individuals doesn’t mean they’re good people”. Well, it would help if the MP’s could view the evidence. In fact it would help if Narges could view the evidence. 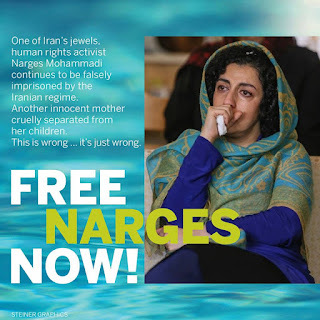 But, it seems, Narges’ crimes are so sensitive that they are kept secret. 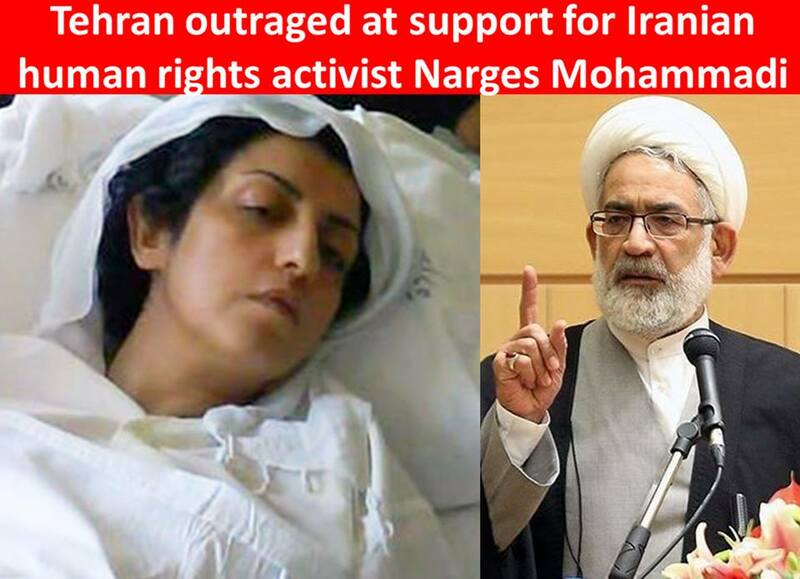 In contrast to Montazeri’s echoes of the regime’s paranoia and effort to silence opposition, Narges’ response was honest and to the point: “Contrary to your imagination, I am not part of some “EVIL TRIANGLE”…I BELIEVE IN THE NOBILITY OF STRIVING FOR HUMAN DIGNITY. The Judiciary, whom you serve, has issued an unjust sentence against me. I WILL ABIDE BY THE LAW AND ENDURE PRISON. I HAVE NO INTENTION TO RESIST OR ESCAPE. But be assured that I am one of thousands of noble Iranians representing the proud and selfless struggle of a nation for freedom and justice. Reveal my indictment, my defense and my life and let the public decide which of us deserves to be an “outcast”. Please remember that I, as the accused, was the one who insisted on a public trial, and the Judiciary was the one that insisted on keeping it hidden. I AM A HUMAN BEING. I AM A FREE IRANIAN CITIZEN. I WILL NOT ALLOW AN ASSAULT ON MY HUMAN DIGNITY, AND I WILL NOT STAY SILENT UNTIL I HAVE MY RIGHTS AND JUSTICE IS SERVED”. The regime’s effort to silence any criticism against it is not new but the horror of it never wears out. THE HUNDREDS OF THOUSANDS OF IRANIANS WHO HAVE BEEN SILENCED OVER THE YEARS BY PRISON OR DEATH ARE A TESTAMENT TO THE REGIME’S MOST POPULAR WEAPON: FEAR. 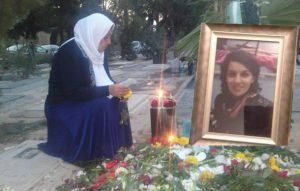 The fear to be arrested, to go to jail, to be executed, to be humiliated, to lose freedoms etc…BUT NARGES’ RESPONSE IS ANYTHING BUT FEARFUL. 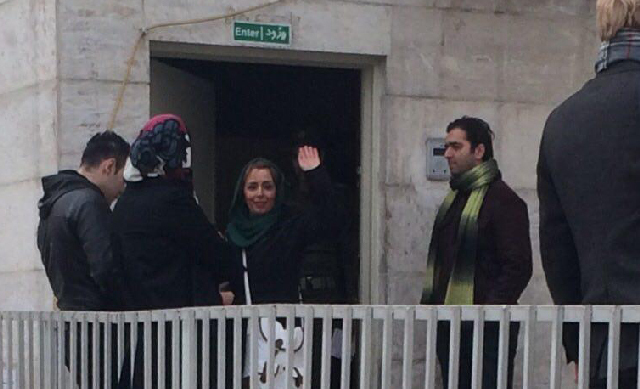 IT IS CLEAR, BRAVE AND RESOLUTE BECAUSE THE IDEALS OF JUSTICE ARE ON HER SIDE – #FreeNarges. 2- Morteza Moradpour on his 9 days of hunger strike .....He is been beaten by prison guards and security agents at Tabriz city central prison. 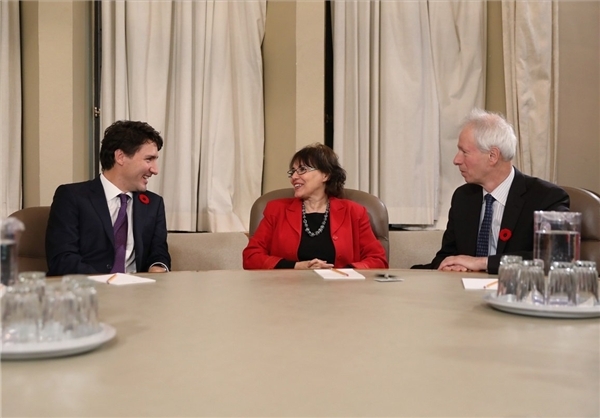 Prime Minister Justin Trudeau meet with Concordia professor Homa Hoodfar, who was freed from months of detention in an Iranian jail earlier this fall. Read more in previous post on IRAN WATCH CANADA. Yesterday was the birthday of Abdolfatah Soltani the Imprisoned Lawyer and a prominent Iranian human rights defender.
" yesterday was the Birthday of my husband Abdolfatah Soltani and it is the sixth year that we celebrate his Birthday without him. Yesterday on a visit to the prison , without flower and sweets , we have congratulated him and wished that God willing we celebrate his birthday at a time of freedom and security. And again in my thoughts i faced with challenges ...10 years imprisonment for emphasizing on the carriage of law and defending the political and conscience prisoners !" This report is provided as a service to the news media. All details have been verified by the Baha'i International Community. Statistics are current as of the above date. Special Note: Updated information about the international response to the persecution of Baha'is and other related news can be found on our "Situation of the Baha'is in Iran" Facebook page, which can be found here(link is external). Since the 1979 Islamic Revolution in Iran, Baha'is have been systematically persecuted as a matter of government policy. During the first decade of this persecution, more than 200 Baha'is were killed or executed, hundreds more were tortured or imprisoned, and tens of thousands lost jobs, access to education, and other rights – all solely because of their religious belief. Government-led attacks on the country’s largest non-Muslim religious minority have re-intensified over the last decade. Since 2005, more than 890 Baha'is have been arrested, and the number of Baha'is in prison has risen from fewer than five to more than 100 at one point. It is currently 85. 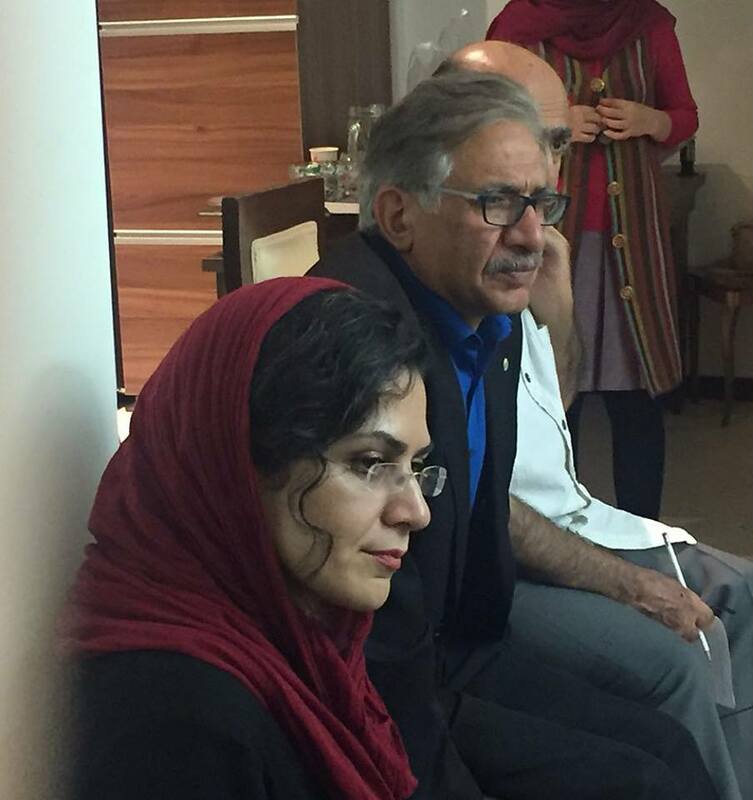 The list of prisoners includes all seven members of a former leadership group serving the Baha'i community of Iran. 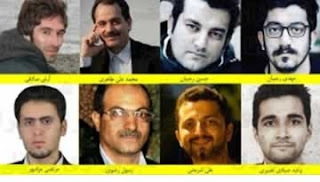 In 2010, the seven were wrongly sentenced to 20 years in prison, the longest term then facing any prisoner of conscience in Iran. In late 2015, reports indicated that their sentences have been belatedly reduced from 20 years to 10 years, in line with changes to the Iranian Penal Code introduced in May 2013. The constant threat of raids, arrests, and detention or imprisonment is among the main features of Iran’s persecution of Baha’is today. The situation facing Baha’is has not changed since the coming to power of President Hassan Rouhani in August 2013, despite his promises to end religious discrimination. Since his inauguration, at least 170 Baha’is have been arrested, thousands have been blocked from access to higher education, and there have been at least 388 incidents of economic oppression, ranging from intimidation and threats against Baha’i-owned businesses to their closure by authorities. More than 20,000 pieces of anti-Baha’i propaganda have been disseminated in the Iranian media during President Rouhani's administration. Their arrests in 2008 and sentencing in 2010 provoked an international outcry. In December 2013, the seven wrote to Iranian President Hassan Rouhani to express their views on his proposed "Iranian Charter of Citizen's Rights." 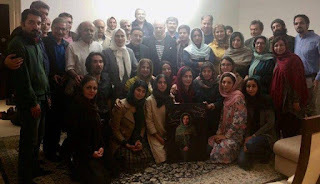 On 4 January 2016, 24 more Baha'is, ranging in age from 21 to 60, were sentenced to long terms of imprisonment in the province of Golestan, all for religious activities. Collectively, their sentences total 193 years, an outrageous punishment. They are currently out on bail awaiting the outcome of an appeal. Economic pressure on Iran’s Baha’i community is acute, with both jobs and business licenses being denied to Baha’is. Government jobs, including not only in the civil service but also in such fields as education and law, have been denied to Baha’is since the years immediately following the Revolution and Muslims often are pressured to fire Baha’is in their employment in the private sector. Since 2005, the Baha’i International Community has documented more than 950 incidents of economic persecution against Iranian Baha’is. These include shop closings, dismissals, the revocation of business licenses and other efforts to block Baha’is from earning a livelihood. Recent examples include the sealing by the authorities of 17 Baha'i-owned shops in the province of Mazandaran in on 20 April 2016 after the owners had closed their businesses on Baha'i holy days. The types of businesses closed by the government included two toy shops, two pharmacies, a tire repair shop, a women's clothing store, and two optical shops. The closings in April 2016 mirror episodes in November, May and April 2015, when authorities moved against Baha'i owned businesses in a number of cities, also after they had closed to observe Baha'i holy days. On 15 November 2015, for example, a total of 28 Baha'i-owned shops were closed in the cities of Sari, Ghaemshahr, Babolsar, Tonekabon, Kerman, and Rafsanjan, following two important Baha'i holy days. In April and May 2015 authorities closed more than 35 shops in the cities of Rafsanjan, Kerman, Sari, and Hamadan in an effort to pressure Baha'is not to observe their religious holy days. These events followed an earlier episode, in October 2014, when 79 Bahá’í-owned shops(link is external) in Kerman, Rafsanjan, and Jiroft, were sealed by the authorities. On 6 September 2016, the Baha'i International Community sent a letter to Iranian President Hassan Rouhani calling for an end to the economic oppression of Baha'is. The letter can be accessed here. In October 2015, The Baha’i International Community issued a major report on the economic oppression of Baha’is. Titled “Their Progress and Development Are Blocked: The economic oppression of Iran’s Baha’is,” the report can be read here. 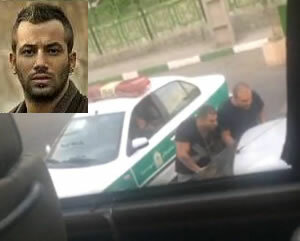 The assasination-style murder in August 2013 of Ataollah Rezvani in the city of Bandar Abbas. Mr. Rezvani was wellknown as a Bahá’í in the city and much respected for his honesty and helpfulness. Ministry of Intelligence agents, however, managed to get him dismissed from his work and they pressured him to leave the city. Shortly before his death, he had begun receiving menacing telephone calls from unknown persons. His killing also came after senior local clerics in the city attempted to incite the population against Bahá’ís. The Baha'i International Community has said the murder should be treated as a hate crime, and it has called for an investigation. 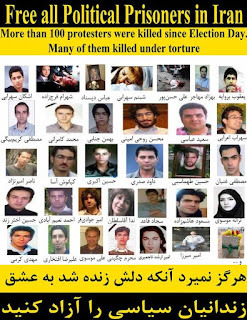 Since 2005 in Iran, at least nine Baha’is have been murdered or died under suspicious circumstances. The stabbing of three Baha'is in Birjand on 3 February 2014 in their home in the city of Birjand by an unidentified intruder. The attacker, who was wearing a mask, entered the home of Ghodratollah Moodi and his wife, Touba Sabzehjou, at about 8 pm, attacking them with a knife or sharp instrument. He also assaulted their daughter, Azam Moodi, before fleeing. All three were seriously injured; Ms. Moodi managed to summon help and all three were taken to a local hospital in serious condition. An arson attack on a Baha'i home on 7 November 2014 in the village of Amzajerd in the province of Hamadan and set a fire. Unidentified individuals broke into the home and started a fire. Furniture, papers and some money were destroyed in the blaze, which was labeled arson by the fire department. A episode of vandalism on 3 November 2014 when unidentified individuals broke into a Baha'i home in a village of Owj Pelleh in the province of Hamadan. They broke windows, wrote graffiti, and attempted to set fire to the house, which was unoccupied at the time. An arson attack on 2 October 2014 when unknown individuals threw a firebomb at the home of a Baha'i in Yazd. Fortunately, the bomb did not ignite. A second firebomb attack on the home of another Baha'i in Yazd occured three nights later, on 5 October, starting a fire that was quickly extinguished. The police were informed of both attacks but did not investigate. 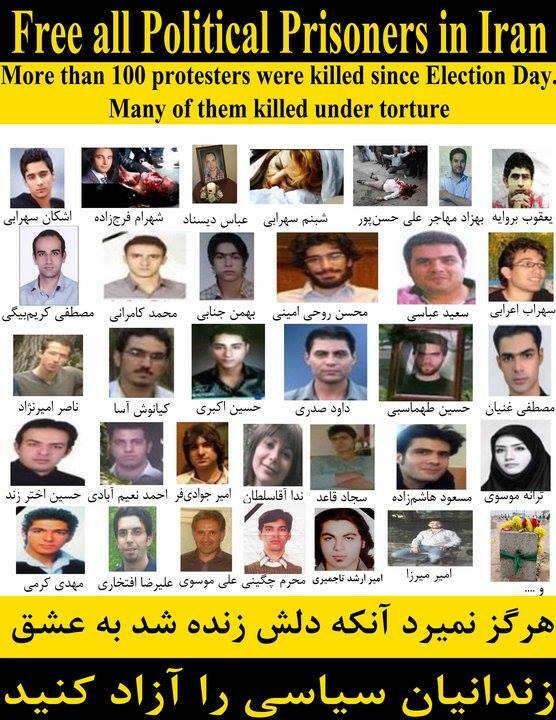 Since 2005, more than 890 Iranian Baha’is have been arrested. Most of the arrests and detentions follow a similar pattern: Agents of the Ministry of Intelligence arrive at the homes of Baha’is, search the premises, confiscate items such as computers and books, and then make arrests. 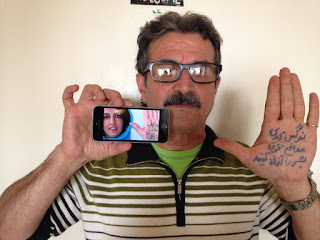 In April 2015 13 Baha'is were arrested in Hamadan. 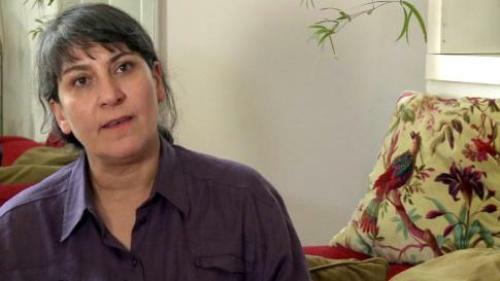 The arrests came over a period of two weeks, as intelligence agents raided and searched a number of Baha'i homes there. Owners/occupants were arrested on charges such as "engaging in propaganda against the regime." Most were released within a day or so after posting large sums for bail, ranging from US$8,000 to US$20,000. One woman, however, was detained for nine days in solitary confinement. On 11 August 2014, five Baha'is were arrested in Tehran(link is external) during a raid on an optical shop. Arrested were shop owners Aladdin (Niki) Khanjani and Babak Mobasher, along with three employees, Naser Arshi-Moghaddam, Ataollah Ashrafi and Rouhollah Monzavi. 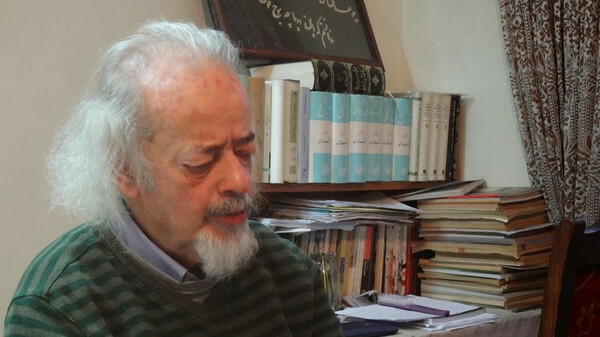 Mr. Khanjani is the son of Jamaloddin Khanjani, one of the seven Baha'i leaders who are currently serving 20 year prison sentences on false charges including espionage. Agents also confiscated their computers and other electronic devices and took a large amount of goods and products from their shop. In April 2014, it was learned that elements of Iran's Revolutionary Guards had begun destruction of a historic Baha'i cemetery in Shiraz, apparently to make way for a new sports and cultural center. After the excavation of a large but shallow hole, demolition was halted for several months in the face of international pressure and the expression of outrage on the part of Iranians from all walks of life. But in August 2014, reports emerged(link is external) from Iran saying that the Revolutionary Guards had resumed construction on the site, removing human remains from some 30 to 50 graves and pouring a concrete foundation for the complex, which will reportedly include a library, mosque, restaurant, theatre, child care facility, and sports hall. The cemetery is the resting place of some 950 Baha’is, many of whom were historic or prominent figures in the Baha’i community of Iran. Interred at the site, for example, are ten Baha'i women whose cruel hanging in 1983 came to symbolize the government's deadly persecution of Baha'is. In September 2014, three high level UN human rights experts called for a halt to the cemetery's destruction, a plea that has so far gone unheeded. As of September 2016, photographs from Iran showed the building as nearly complete. In addition to the demolition of the Baha'i cemetery in Shiraz, there have been in recent months other attacks. On 12 December 2013, the Baha'i cemetery in Sanandaj was partly destroyed. Reports from Iran say the morgue, where bodies are washed, along with the prayer room, a water tank, and the walls of the cemetery were destroyed, apparently as the result of a long-running government effort to confiscate the cemetery land and razed is buildings. In Semnan recently, attackers destroyed the Baha'i cemetery there in two stages. In October/November 2012, intruders demolished the morgue and in December 2012/January 2013, they covered all the graves 40 centimeters deep in dirt using bulldozers. The municipality whose bulldozers were used for this purpose denied knowledge of the incident and promised to repair the damage. In December 2012, the Baha’i cemetery in Yazd was vandalized. Baha’i school children at all levels continue to be monitored and slandered by administrators and teachers in schools. Secondary school students often face pressure and harassment, and some have been threatened with expulsion. Religious studies teachers are known to insult and ridicule Baha'i beliefs. In a few reported cases, when Baha'i students attempt to clarify matters at the request of their peers, they are summoned to the school authorities and threatened with expulsion if they continue to "teach" their Faith. 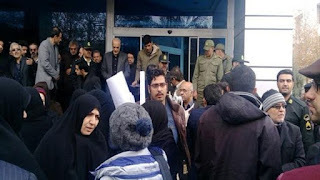 Young Baha’is continue to be denied access to public and private colleges and universities in Iran as a matter of official policy(link is external), which requires that they be expelled if they manage to enroll and school authorities learn that they are Baha’is. Those working in support of the Baha’i Institute for Higher Education (BIHE), an ad hoc, volunteer effort of the Iranian Baha’i community to provide education for its young people, have been at various times arrested, harassed and imprisoned. 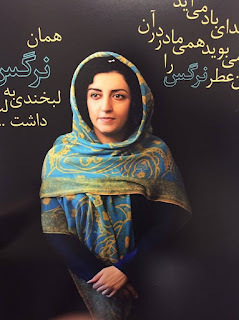 In September 2014, for example, Ms. Shadan Shirazi was blocked from entering university despite the fact that she placed 113th on national college entrance examinations. The story was widely reported (link is external)and reveals a new tactic undertaken by the government, which is to deprive Baha'is of any document or paper that they can use to prove they were discriminated against because of their religion. 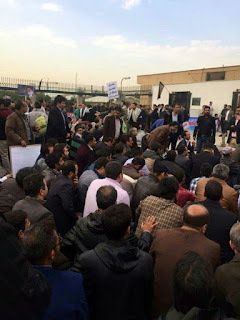 Other recent incidents of discrimination in education include the September 2014 expulsion of a Baha'i from Baharestan University in Esfahan and an August 2014 expulsion from Payame-Noor University. Over the years, thousands of pieces of anti-Baha'i propaganda have been disseminated in official or semi-official Iranian media. These include anti-Baha'i articles, videos, and webpages. A report, Inciting Hatred, covering a period from December 2009 through May 2011, documents the nature of these attacks. These attacks have not slowed or abated. From January 2014 through August 2016, the BIC documented more than 20,000 items of anti-Baha'i propaganda in Iran's official or semi-official media. 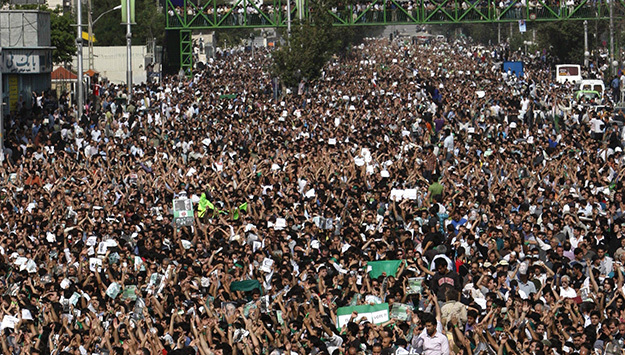 Other forms of persecution faced by Iranian Baha’is include the monitoring of their bank accounts, movements, and activities; the denial of pensions or rightful inheritances; the intimidation of Muslims who associate with Baha’is; the denial of access to publishing or copying facilities for Baha’i literature; and the unlawful confiscation or destruction of Baha’i properties, including Baha’i holy places. 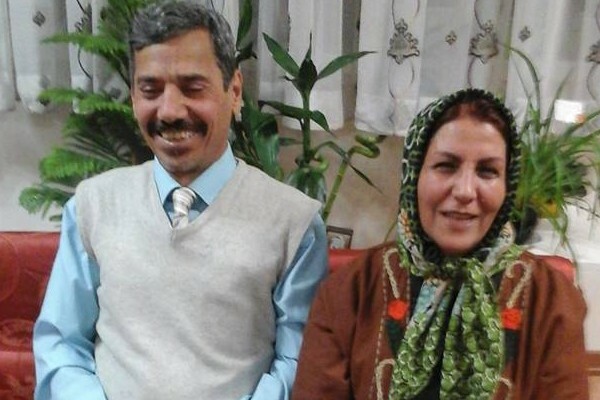 Governments, organizations and individual supporters around the world are calling for the release of jailed Baha'i leaders and Baha’i educators, and an end to the persecution of the Baha’is in Iran. In October 2015, Dr. Shaheed noted that “Adherents of unrecognized religions, such as the Baha’i faith, face severe restrictions and discrimination and are reportedly prosecuted for peacefully manifesting their religious beliefs.” His full report can be read here(link is external). On 31 October 2014, governments repeatedly called attention to Iran's lack of respect for religious freedom at Iran's Universal Periodic Review in the Human Rights Council. Of the 291 recommendations made by 104 governments, 11 specifically mentioned the situation of Iranian Baha'is, calling on Iran to end discrimination against them. In September 2014, three high-level United Nations human rights experts called on Iran to halt the ongoing destruction of a historic Baha’i cemetery in Shiraz, Iran, saying the action is an “unacceptable” violation of freedom of religion. In a joint news release(link is external), Heiner Bielefeldt, the Special Rapporteur on freedom of religion or belief, Ahmed Shaheed, the Special Rapporteur on the situation of human rights in Iran, and Rita Izsak, the UN Independent Expert on minority issues, said they were “dismayed” at reports that demolition work had resumed in August. Yesterday some MP's attended at the gathering and listened to the workers demands and three representative of the workers from Free Labor Union attended inside the parliament and had meeting with the parliamentary labor commission.